Today’s modern PET recycling facilities create high quality flake from post-consumer bottles. The process starts with automated sorting equipment which is used to remove unwanted products from the incoming material stream. After the bottles have been pre-sorted and the labels have been removed, they are visually inspected and sorted by polymer type and colour. Once separated into clear and coloured streams, the bottles are ground and washed. During this process, PET fines are generated and removed along with other residues such as paper, aluminium, or PVC. The purity requirements of the final product vary depending on the end user. The following table represents the purity levels typically required for flake used to produce thermoform sheet. The final quality of the PET flake is dependent on the composition of the incoming bales as well as the sorting technology used in the recycling facility. 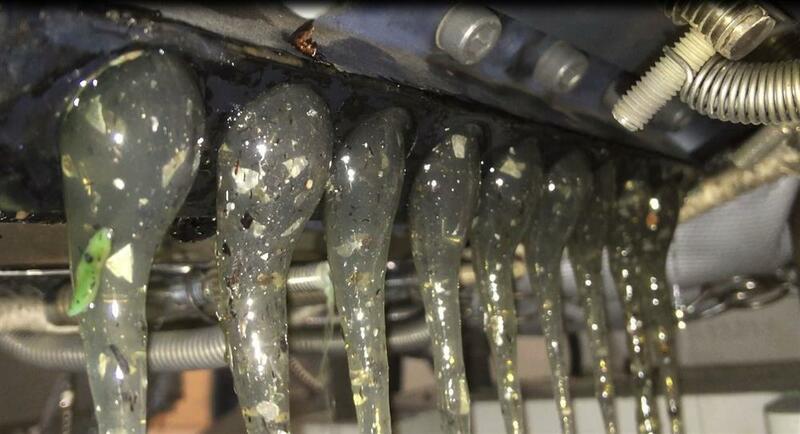 This represents a daunting challenge for the melt filtration system in re-pelletizing, thermoforming and packaging tape lines, especially if the aluminium fraction exceeds the specified 10 ppm dramatically. The challenge is all the more intriguing when it comes to applications for the fines that are obtained when the PET bottles are ground. These fines contain a much higher percentage of contaminants because more paper, aluminium, and PCV are separated during the screening and hot washing processes. Exactly this makes them so difficult to utilize as a valuable raw material. Due to the small size of the PET particles, they have a larger surface area and hence absorb more moisture. Even with efficient degassing technology during the extrusion process, the IV values tend to drop significantly. Additionally, higher contamination levels block static screens quickly, making it a challenge to process this material, even with sophisticated back-flushing screen changers. As a result, a large majority of the PET fines are sold off at a very low price. When considering that even a small recycling facility can produce more than 20 tons of fines per month, finding a solution to filter this product could have a huge commercial impact on the bottom line. With a proper pre-screening system in place combined with a dryer, extruder and continuous melt filter, customers can now create a useable product from these fines. The ECO continuous melt filter manufactured by Ettlinger plays a major role in processing highly contaminated feed streams. The central component of the ECO melt filter is a rotating, cylindrical filter screen with millions of conical holes that can be supplied with a wide variety of screen sizes. When melt flows through the filter, contaminants are retained on the outside of the screen – in addition to solid contaminants such as aluminium and black specks as well. High-molecular and cross-linked fractions which arise due to high temperature stresses are efficiently separated from the melt stream along with gels. The cleaned melt on the inside of the drum is supplied to the downstream die via a system of flow channels. The contaminants are wiped clean from the filter surface after each rotation of the screen. They are then discharged from the unit by means of a discharge shaft. If contamination levels spike causing the pressure to rise, the drum automatically increases. This ensures a steady pressure at all times. Unlike many backflush systems, the purge from the ECO up to contains a high percentage of contamination. The ECO filter not only has a very compact design but is also extremely durable. The interval between screen changes can last several weeks or even months depending on the material and level of contamination. During this time, the melt pressure remains stable. The unit is designed to remove contamination levels as high as 1.5% by weight. Two sizes are available depending on the capacity requirements: The ECO 200 is for throughputs up to 1,500 kg/h and as the ECO 250 for a maximum of 3000 kg/h. In addition to polyolefin melts, it is also suitable for filtering easy-flowing materials such as PET or PA. With their compact, space saving design ECO melt filters can be retrofitted in existing extrusion lines without any problems. 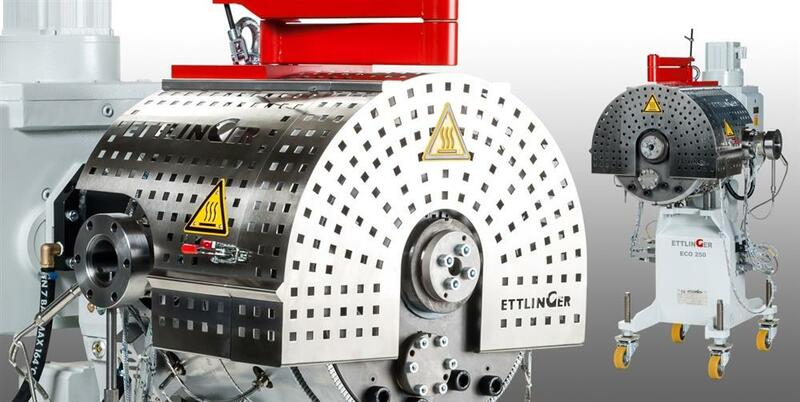 Ettlinger Kunststoffmaschinen GmbH was founded in 1983 and is today a global player. The German company has its headquarters in Königsbrunn, not far from Augsburg. Its core competency is the development and manufacture of injection moulding machines and high performance melt filters. Ettlinger injection moulding machines are optimized for the production of polymer mouldings up to 100 kilograms in weight such as plastic pallets, fittings, or manholes. An ingenious modular system allows affordable solutions and machine concepts to be offered for a wide range of applications. On the melt filtration side Ettlinger makes high performance melt filters for continuous filtration of heavily contaminated feedstock. Contaminants like paper, aluminium, wood, silicones, or high-melting polymer composites can be removed from all standard polymer materials. Ettlinger’s new agent in the UK and Ireland is Motan Colortronic Limited of Chesterfield, established in 1974. With over four decades of experience, this Midlands company supports injection molders, extruders, compounders, blow molders and recyclers in the British Isles with appropriate machinery and comprehensive, expert services. Ettlinger’s high performance melt filters make an ideal complement to this portfolio. A large and well-stocked spares store and a Tech Center for application-specific customer trials are available at the Chesterfield site. Together with a decentralised network of service specialists, they assure all-round field support for users, carefully tailored to individual requirements.